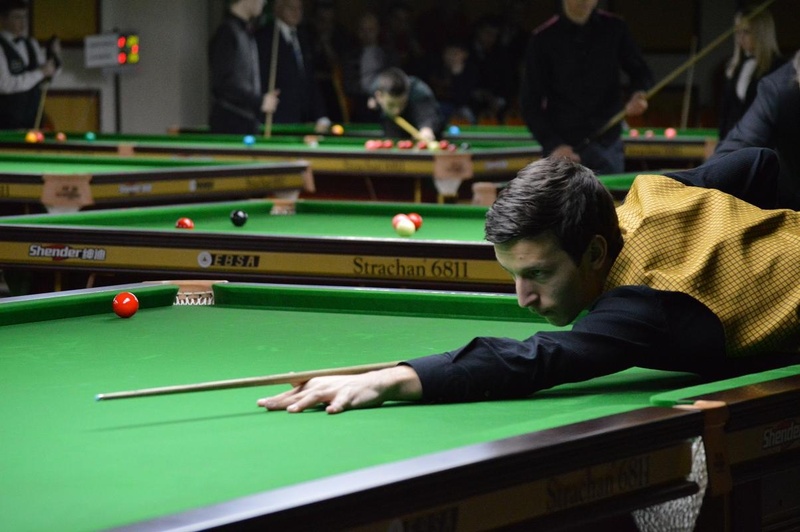 Malta’s Brian Cini continued to impress here in Romania tonight with a superb 3-0 victory over England’s Sanderson Lam which included breaks of 59 and 66. Cini now looks odds on to top Group G with four wins after already beating Ed Topham also earlier today. Otherwise it was business as usual for the top players here tonight in the Caro Hotel as the likes of Stephen Bateman, David Cassidy, Ed Topham, Ryhs Clark, Sascha Breuer, Simon Lindblom and Jeff Jabobs all recorded 3-0 victories. The Belgian Jabob’s also impressed here tonight with a great 90 break in his win over Vladislav Kalinovski. We still have a couple of matches still to finish but otherwise it will be an early night for the players as they go into final day of the groups with most of the top seeds facing off against each other for the top spots. It will be all to play for for everyone else also tomorrow as most players will still be in with a good shout of qualifying in the 3rd and 4th spots in the groups and earn their places in the knockout draw on Friday.